Anita Carbone was a good girl—and it bored her. 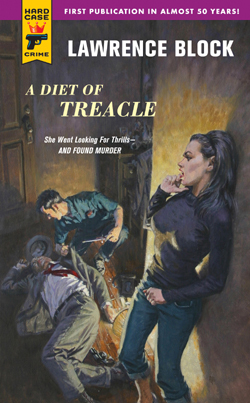 Publishers Weekly on A DIET OF TREACLE: "A potboiler morality play at its finest...[it] will give readers the delicious (and all-too-rare) feeling that anything could happen." "Block is awfully good, with an ear for dialogue, an eye for lowlife types and a gift [for] storytelling." "Lawrence Block is finally getting the attention he deserved."